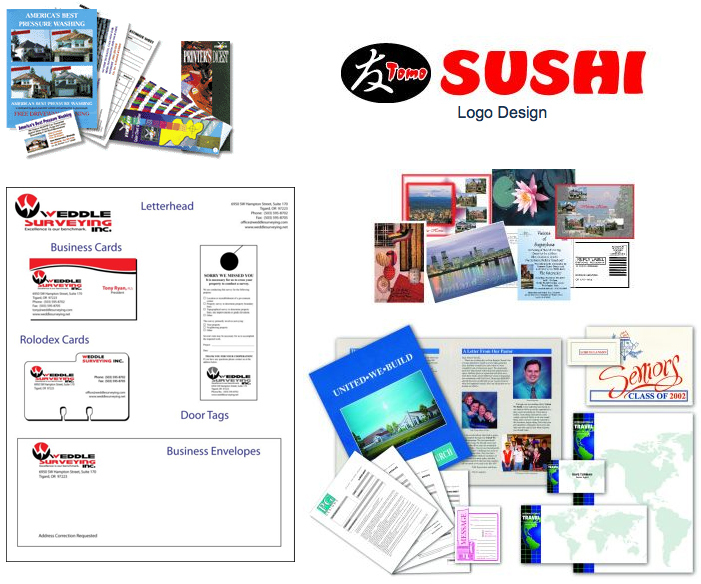 Graphic designs have a unique ability to sell a product or idea through visual communications. This applies to products as well as elements of company identity like logos, colors, and text, together defined as branding. Branding has increasingly become important in the range of services offered by many graphic designers, alongside corporate identity. At SIGN n PRINT our staff of designers are top notch. Coming from a variety of backgrounds, our designers collaborate to develop the optimum designs for your everyday needs. Let us help you create our identity or project.